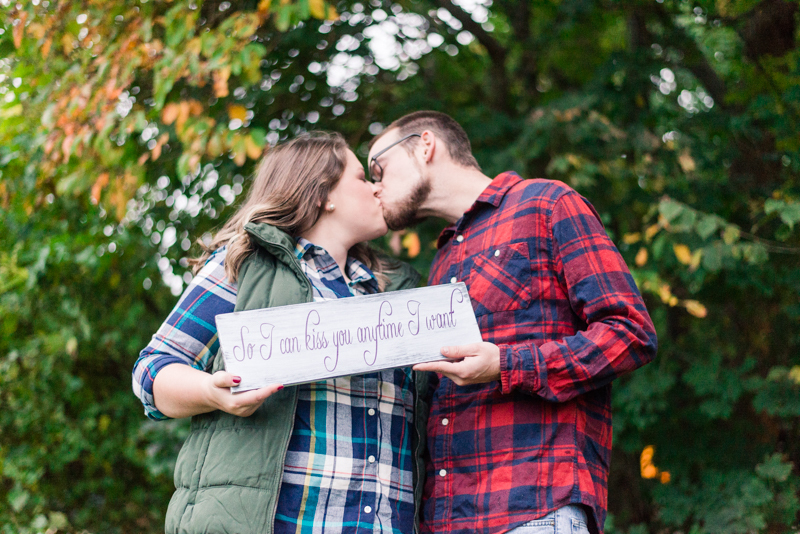 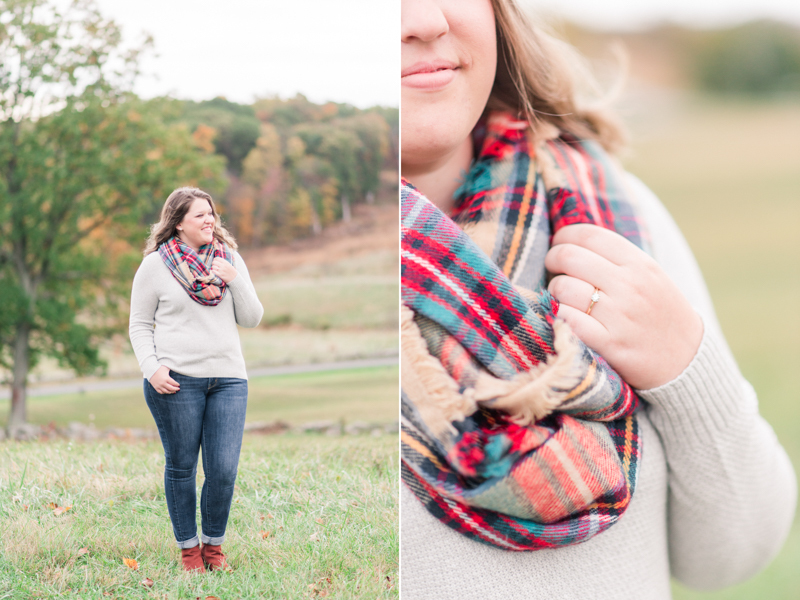 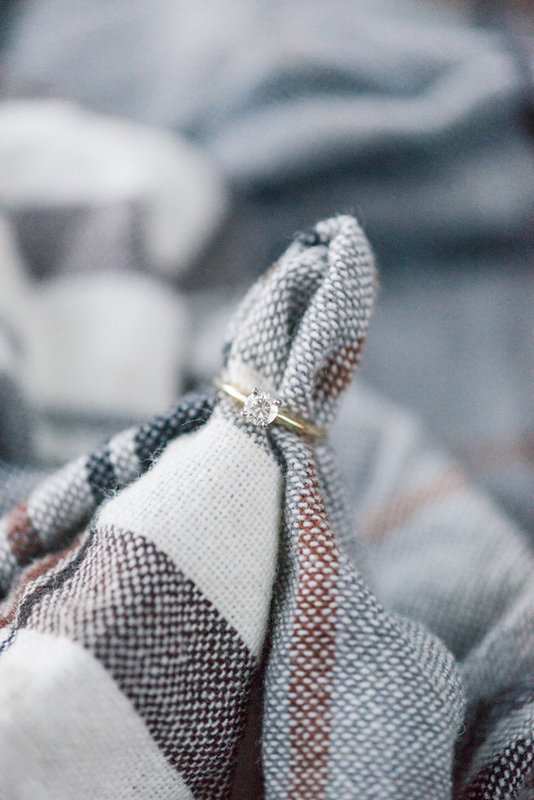 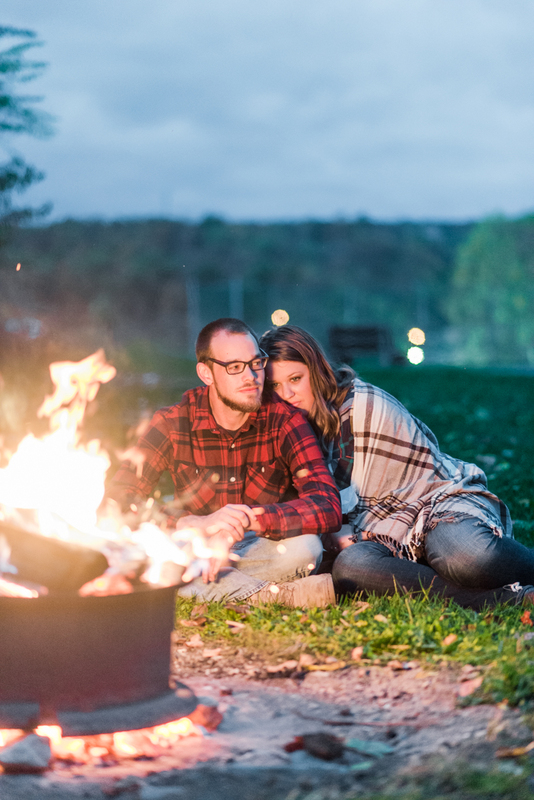 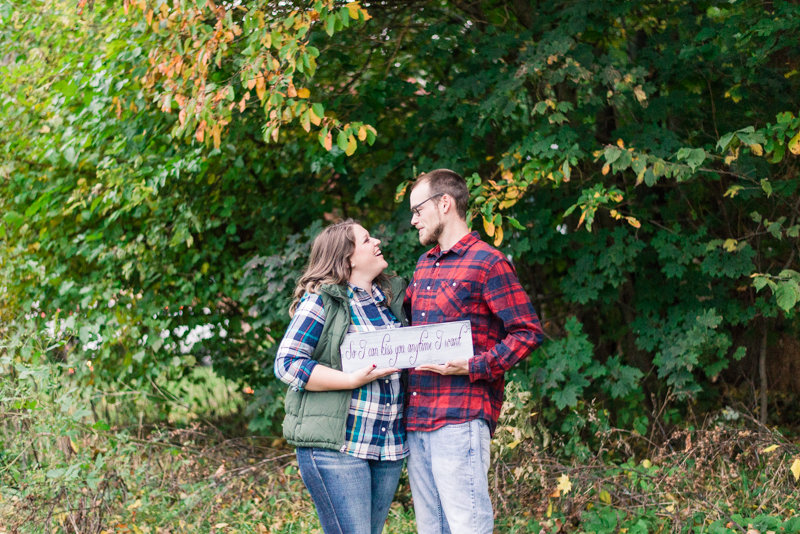 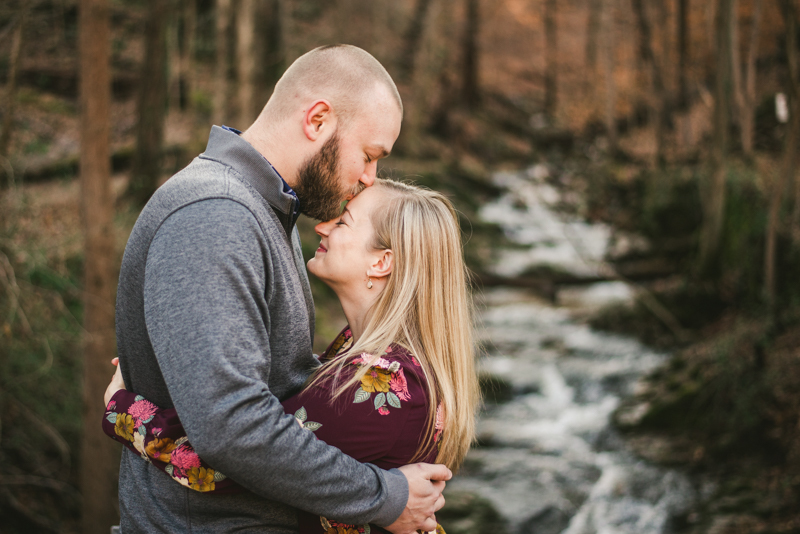 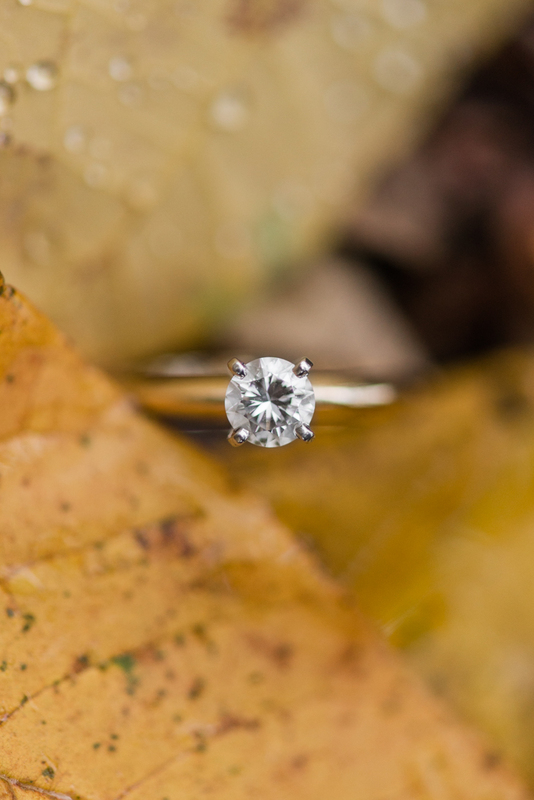 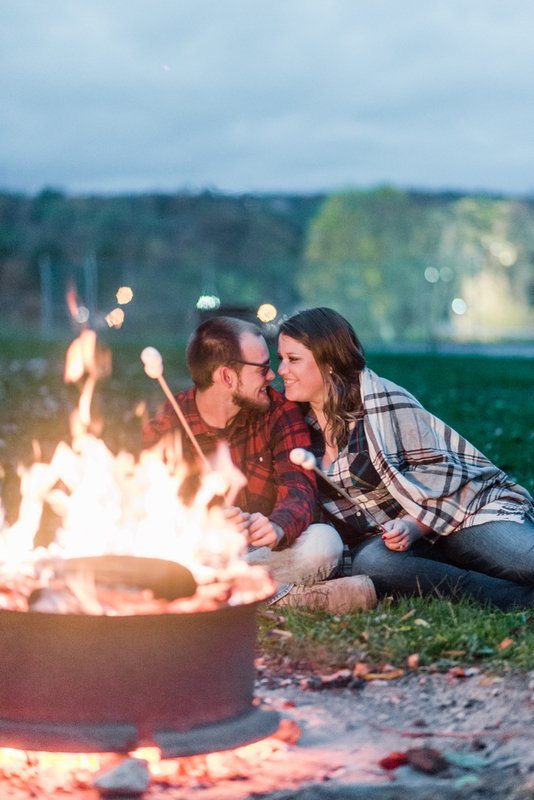 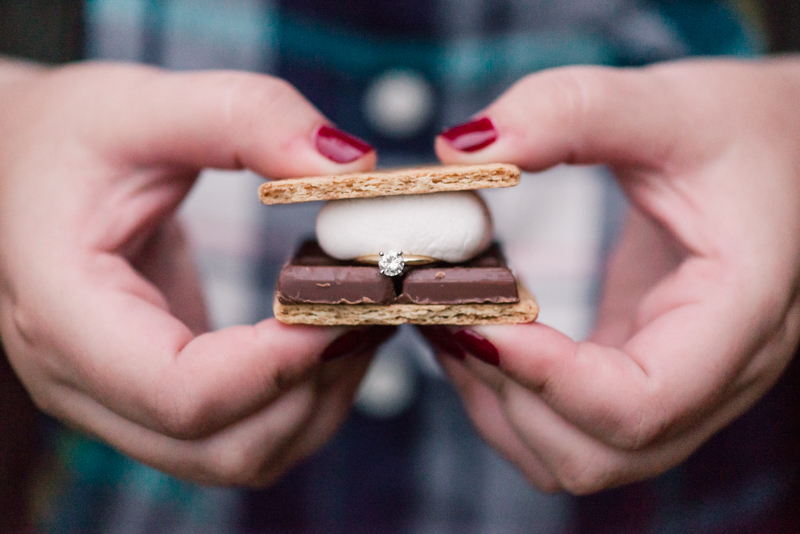 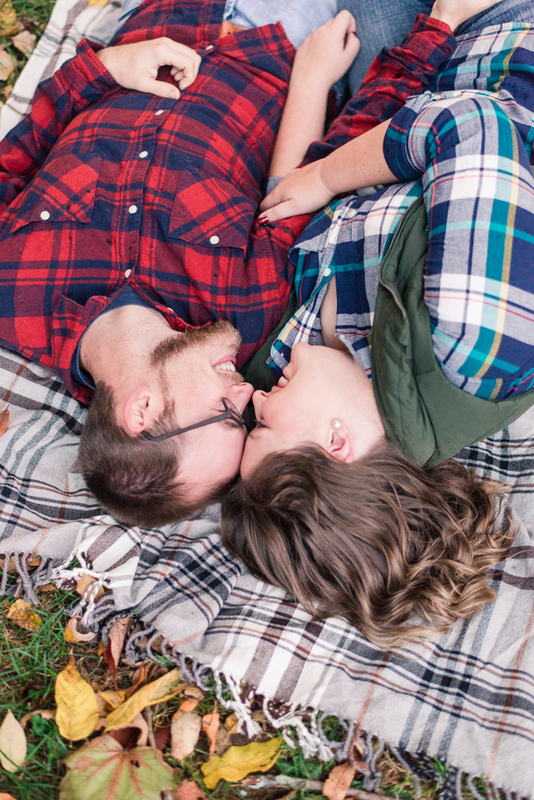 I am super excited to share our first ever camping engagement session! 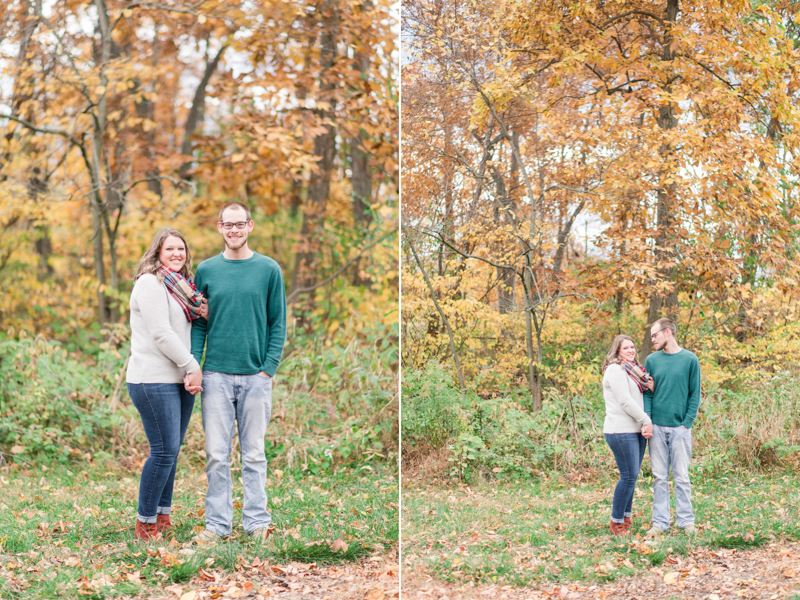 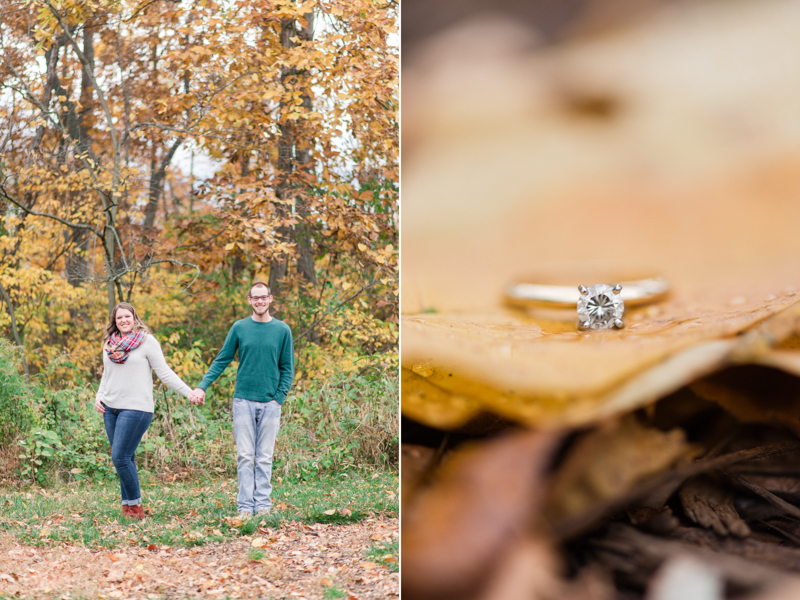 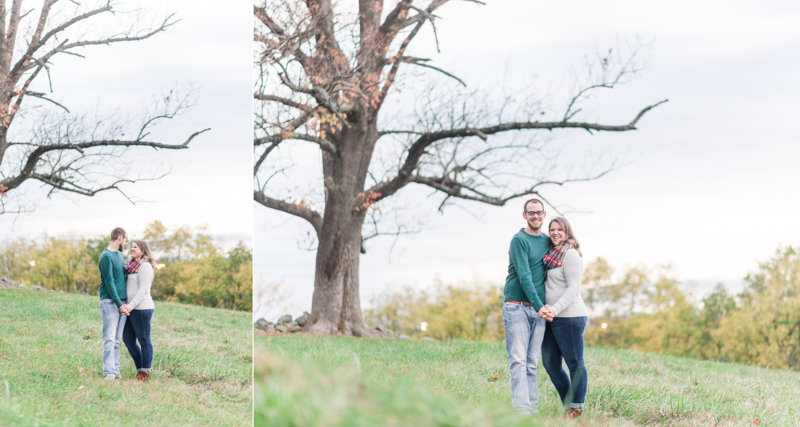 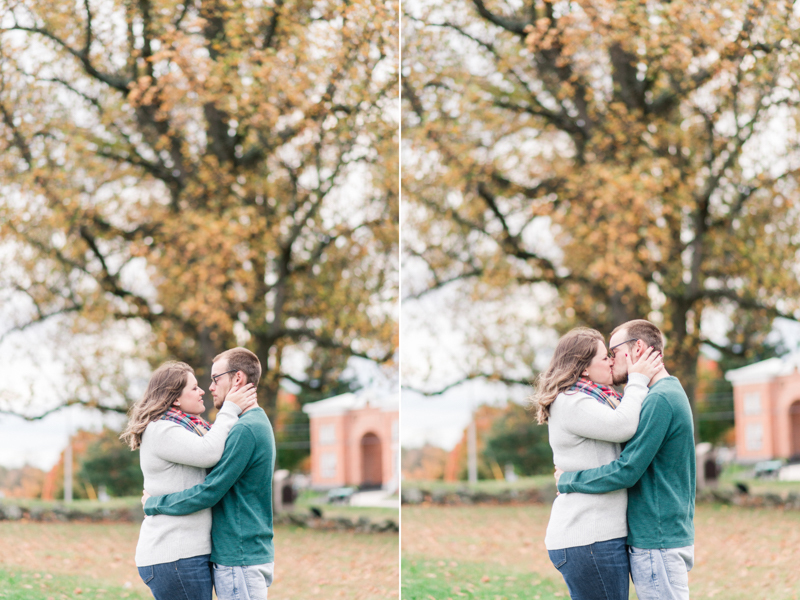 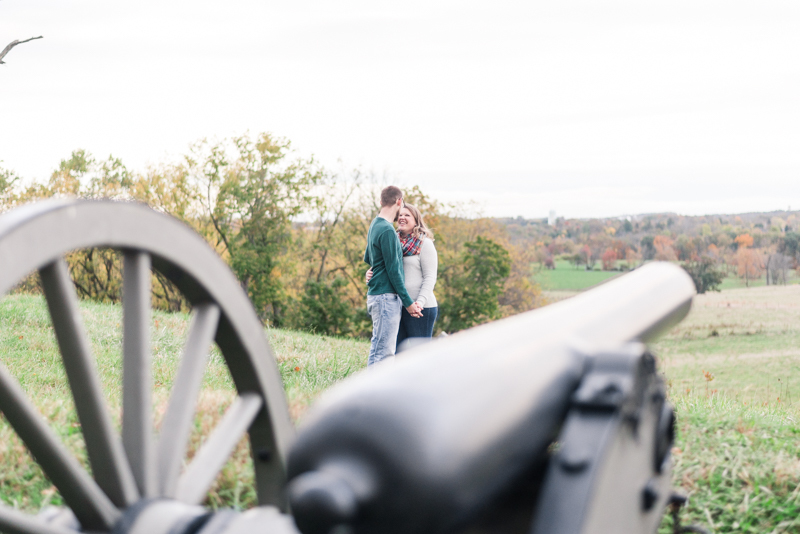 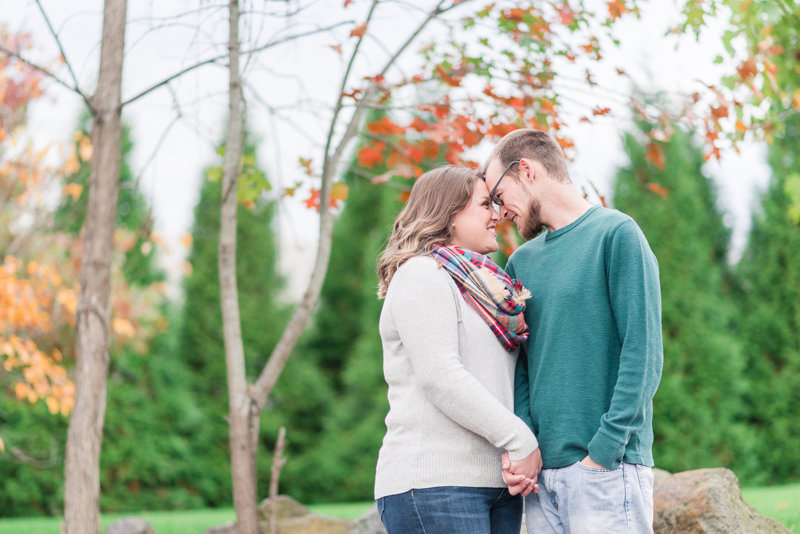 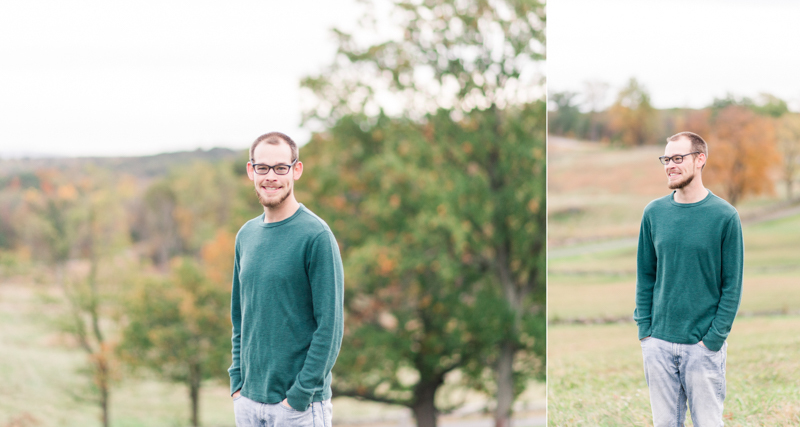 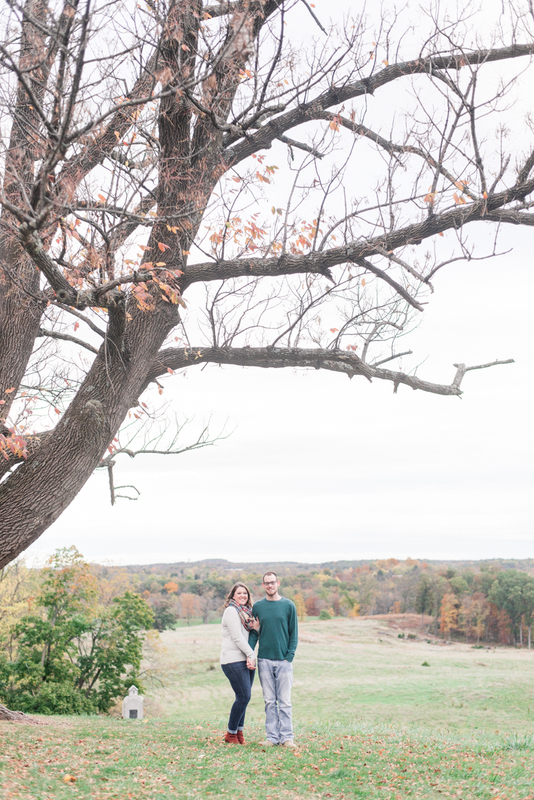 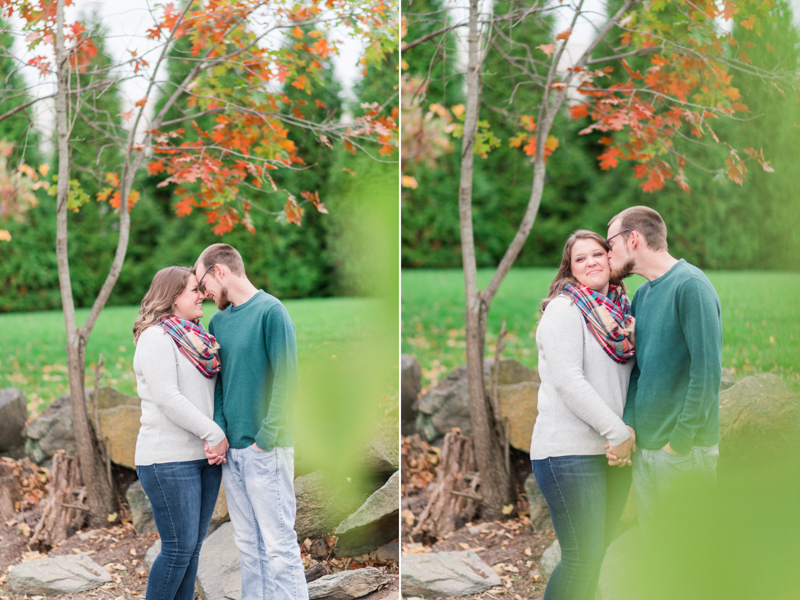 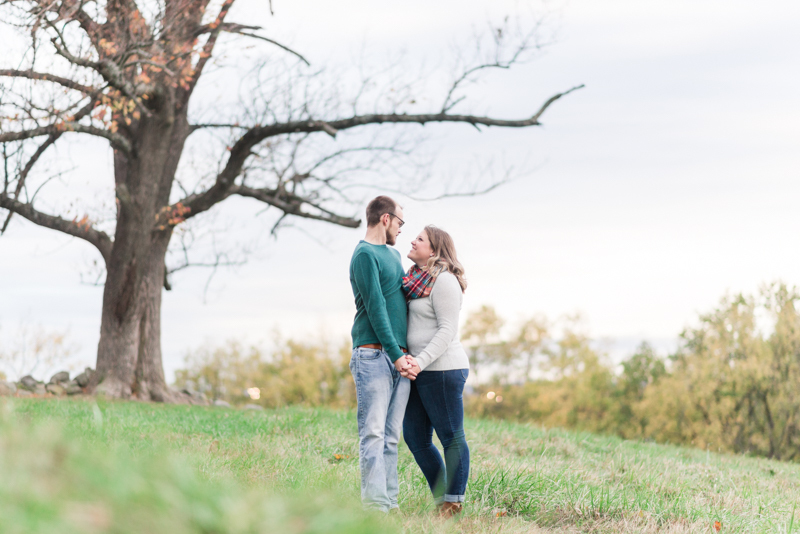 We met up with Sarah and Brandon at Gettysburg National Military Park on Friday evening. 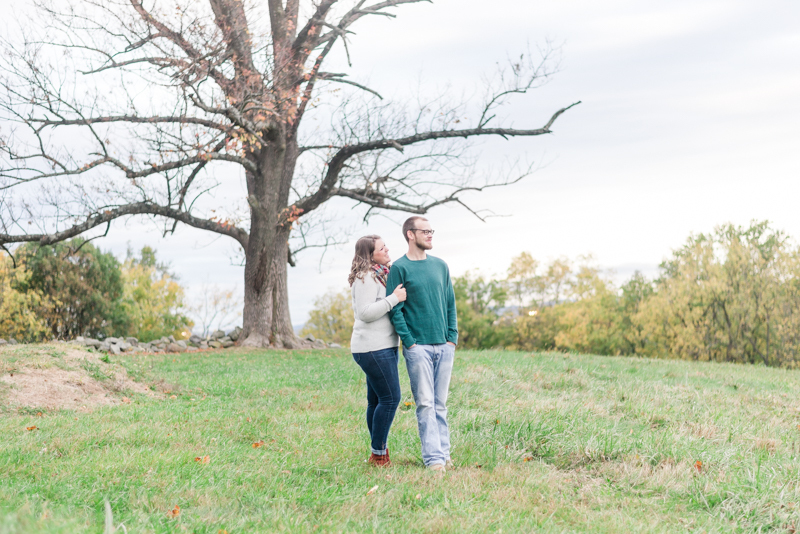 The forecast had been calling for storms all day, so Sarah and I were obsessively checking the radar. 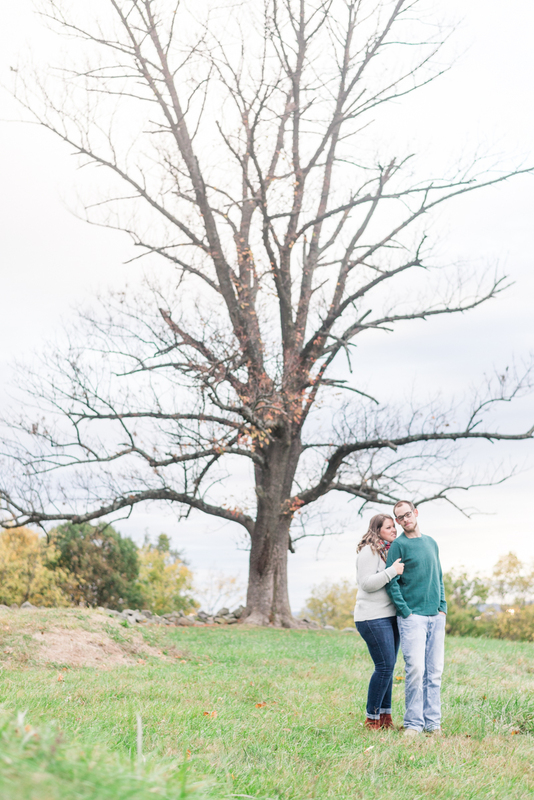 Luckily for us, the weather man was incorrect because the only thing in the sky were perfect clouds. 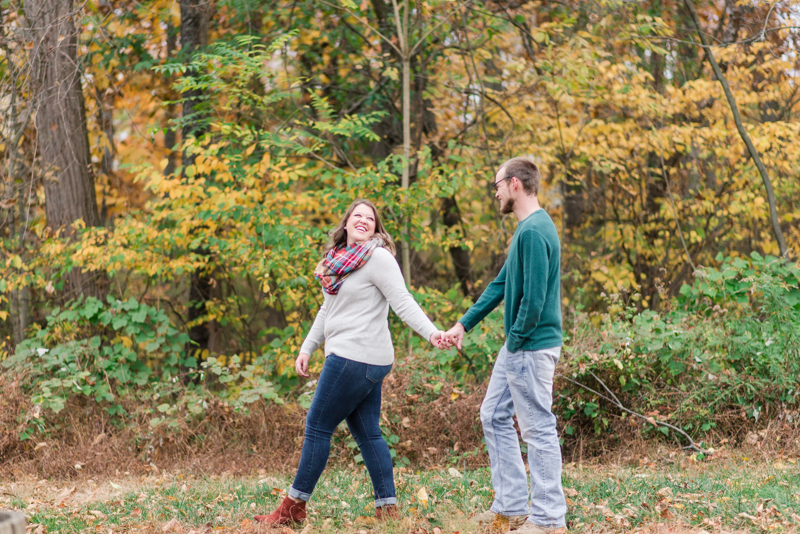 It was honestly the best evening. 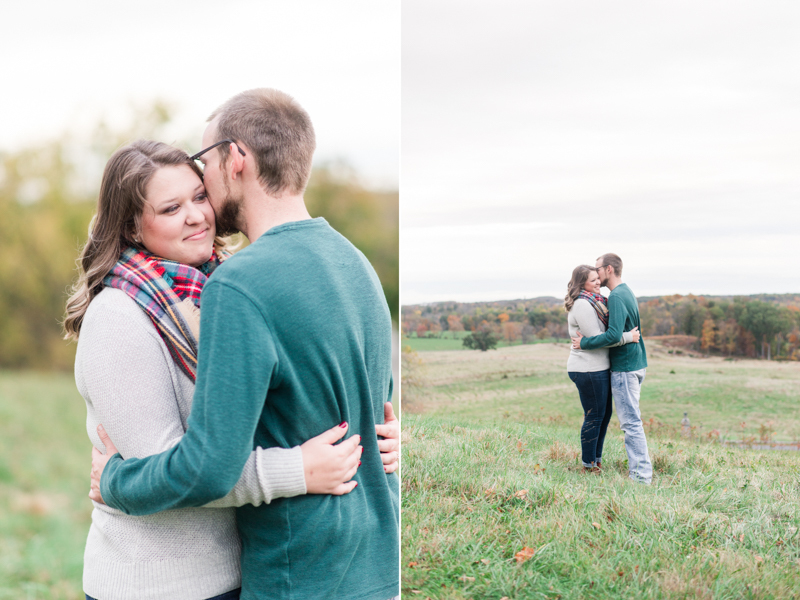 Even with us having some slight trouble finding an accessible battlefield, this was a wonderful night. 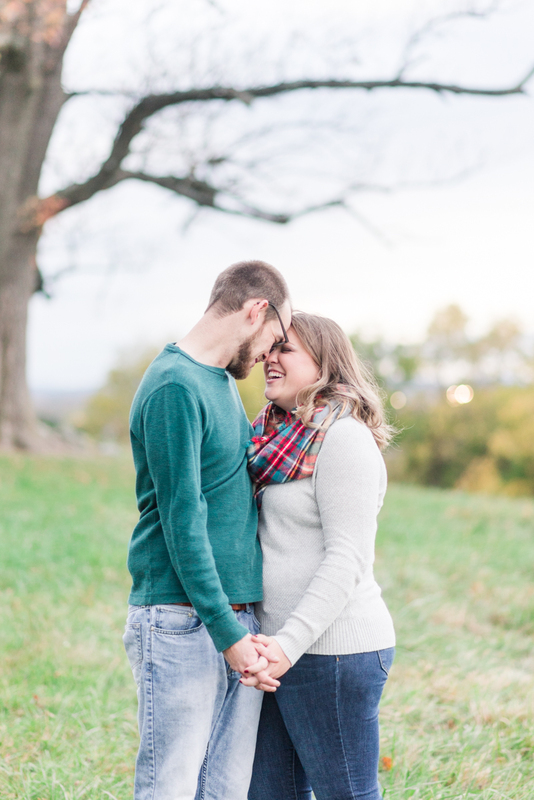 Shawn and I were amazed by the historic beauty in Gettysburg, but what we were most looking forward to was photographing Sarah and Brandon at their campsite. 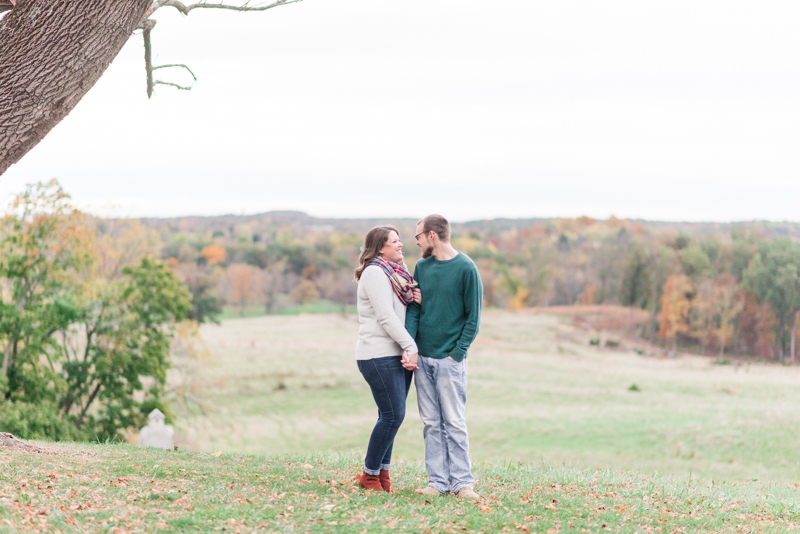 Sarah has been coming to the Granite Hill Camping Resort with her family since as early as she can remember. 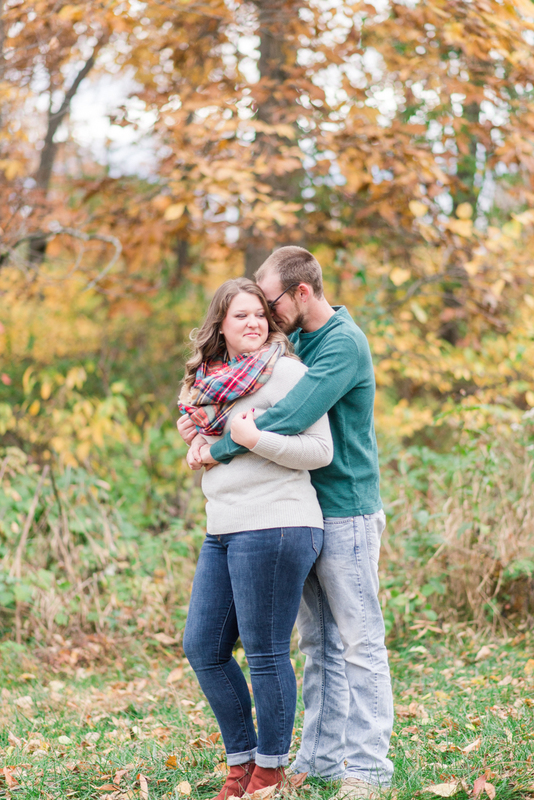 When her and Brandon began dating, he was obviously brought in on the family tradition. 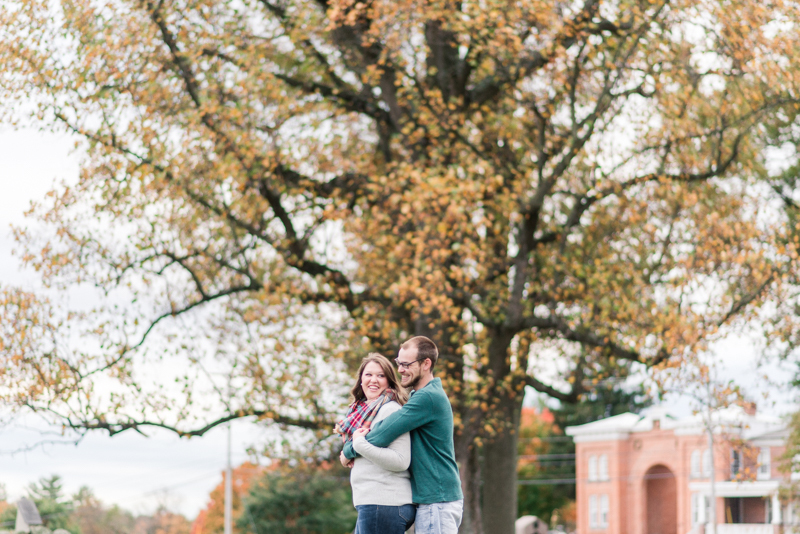 It's a very special place to them, and surely one that will be special in the many years to come. 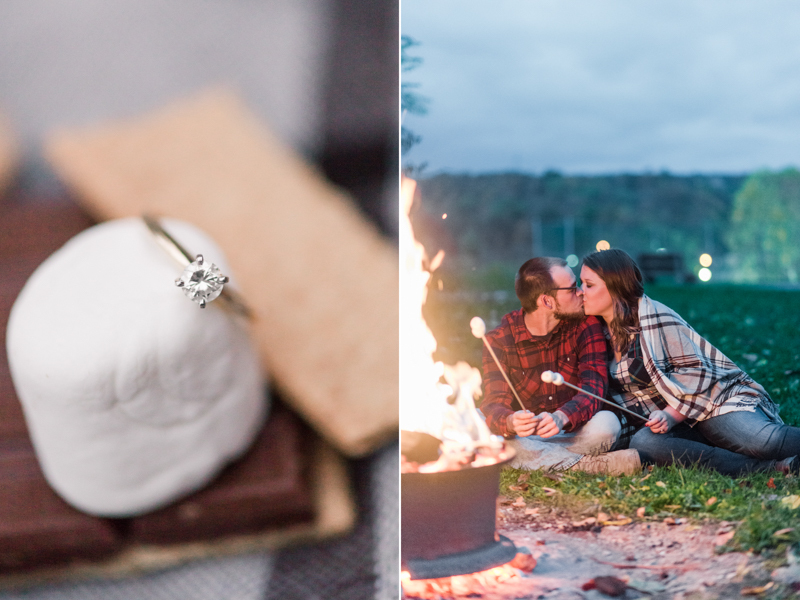 I can already imagine their own children running through the fields and roasting marshmallows over the fire. 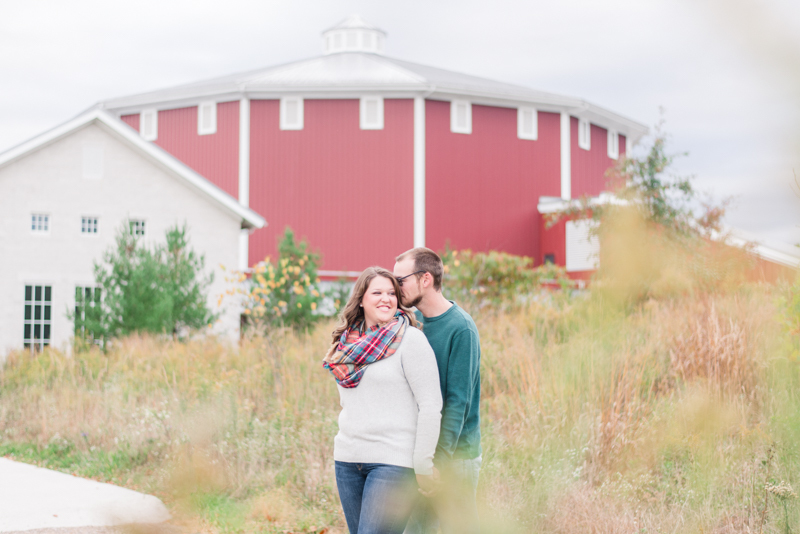 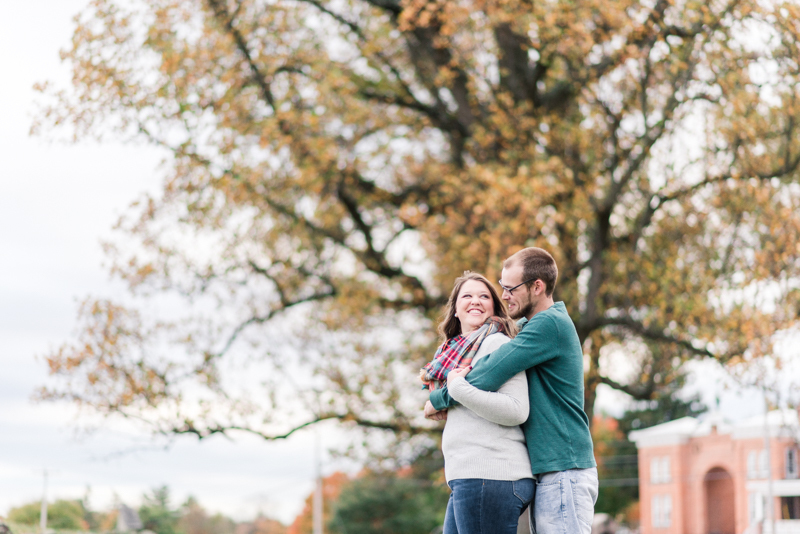 It's sweet to think about what this place means to them and it's really awesome that they brought us into this sentimental spot to capture their engagement photos. 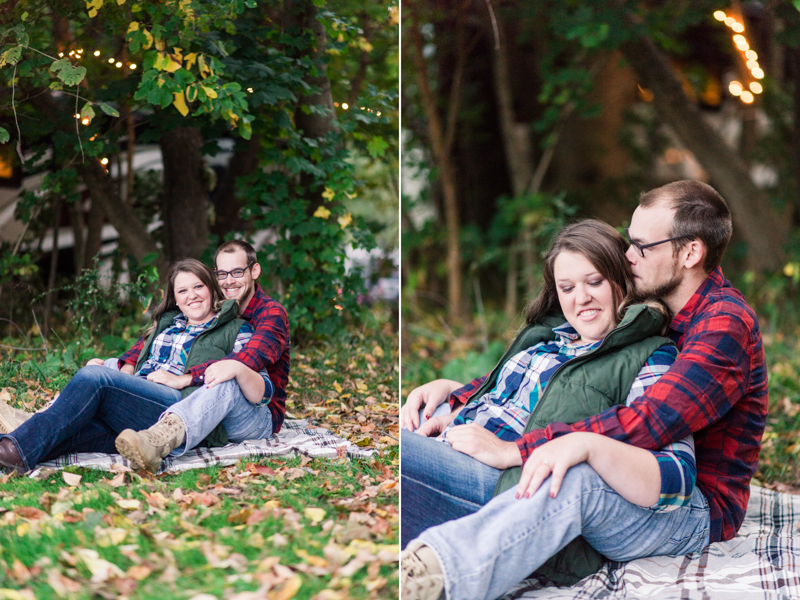 Chatting more with Sarah and Brandon, it's so easy to see how well they fit together. 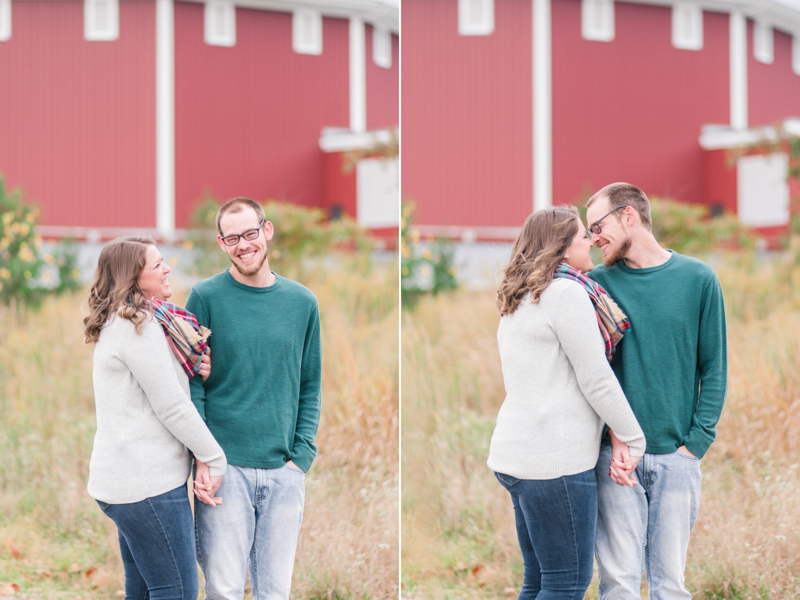 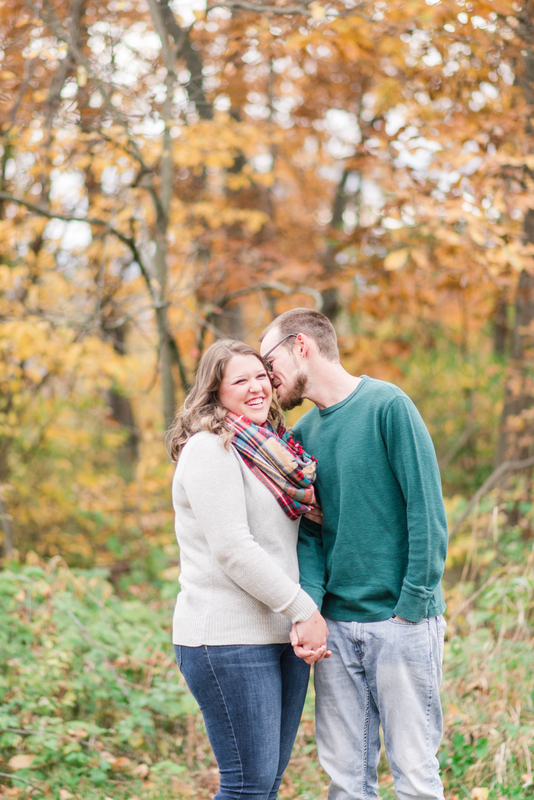 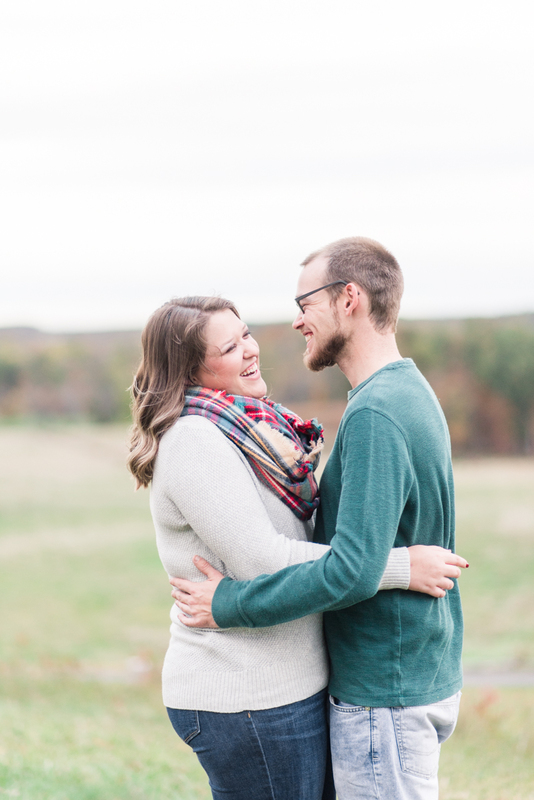 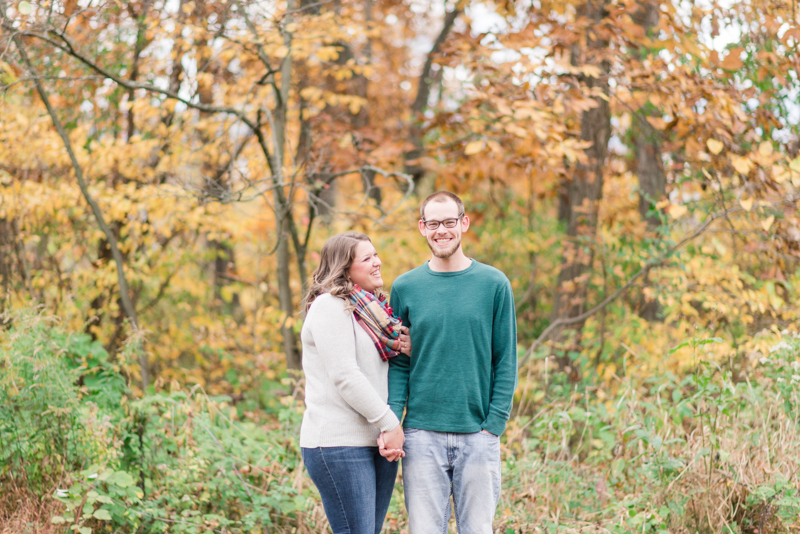 They both love telling jokes and being goofy, which I think is the most important aspect in any relationship. 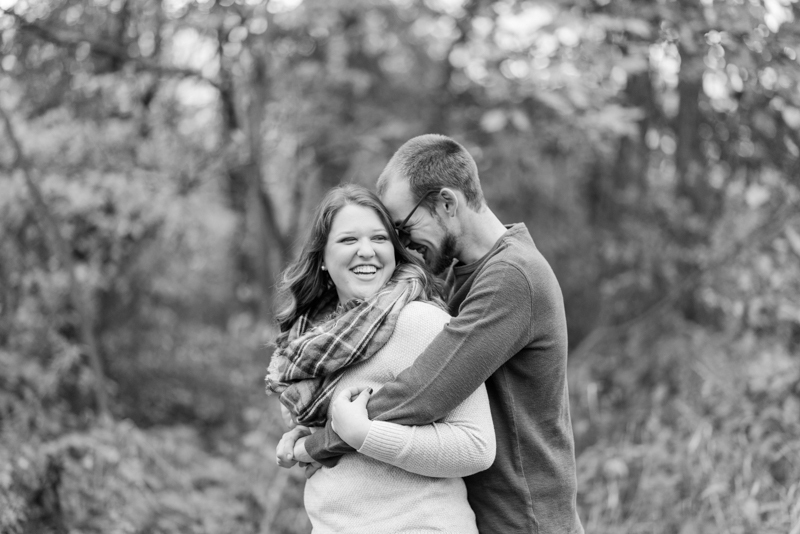 If you can't laugh with someone then what else is there? 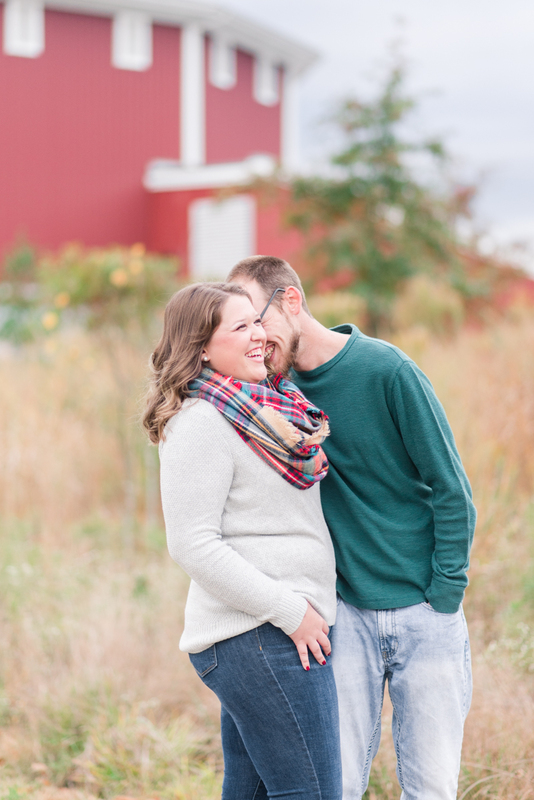 As soon as their session began, we were all laughing and just enjoying getting to know each other. 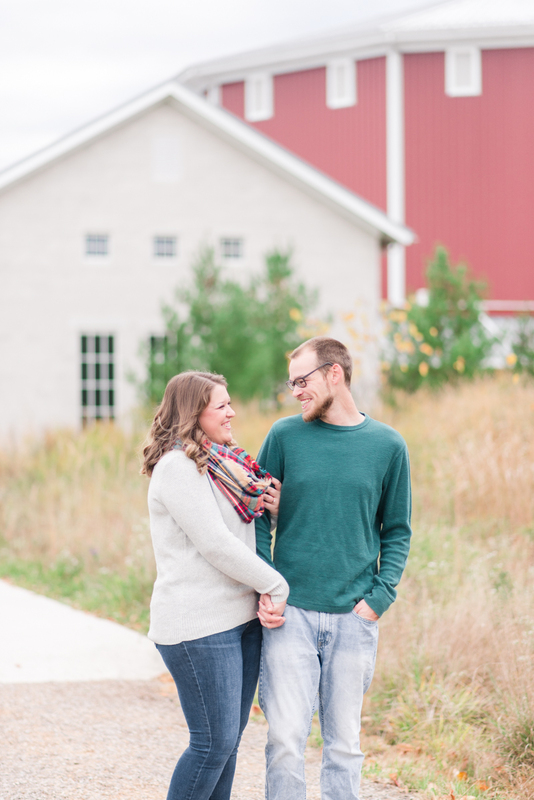 We all live relatively close to each other, and I've been a neighbor of Sarah's for quite awhile, but this was a deeper level of knowing one another. 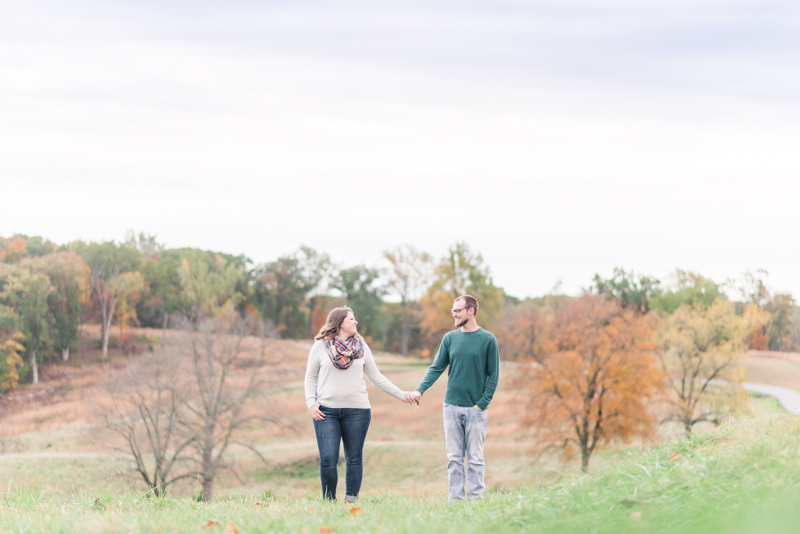 We weren't just waving over the fence or saying a brief "hello", we got to interact and really talk. 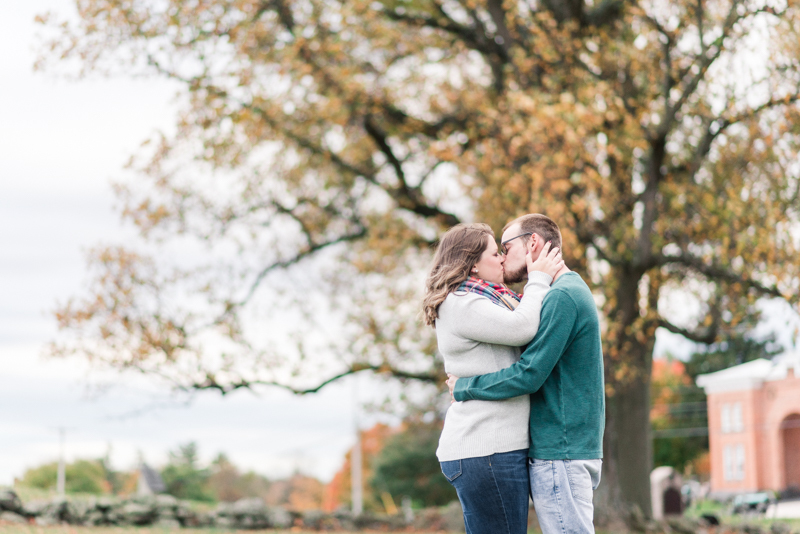 It's interesting how much you get to know someone and become closer friends over the course of a two hour engagement shoot, haha! 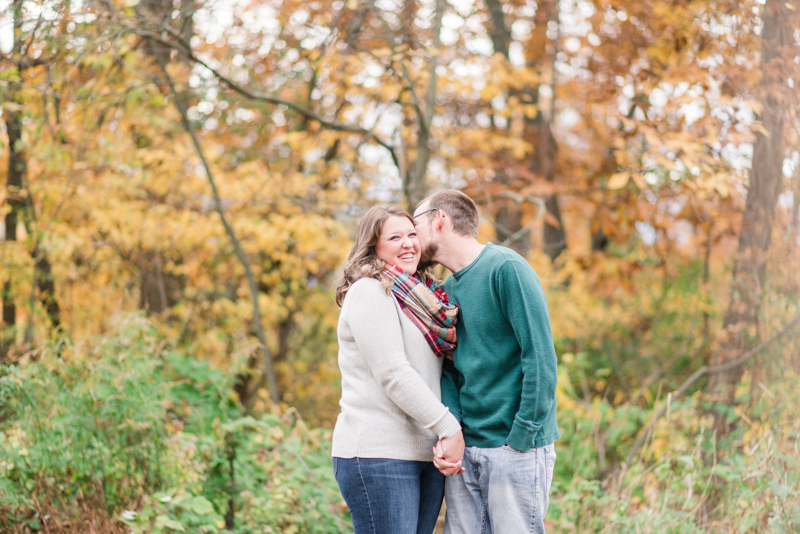 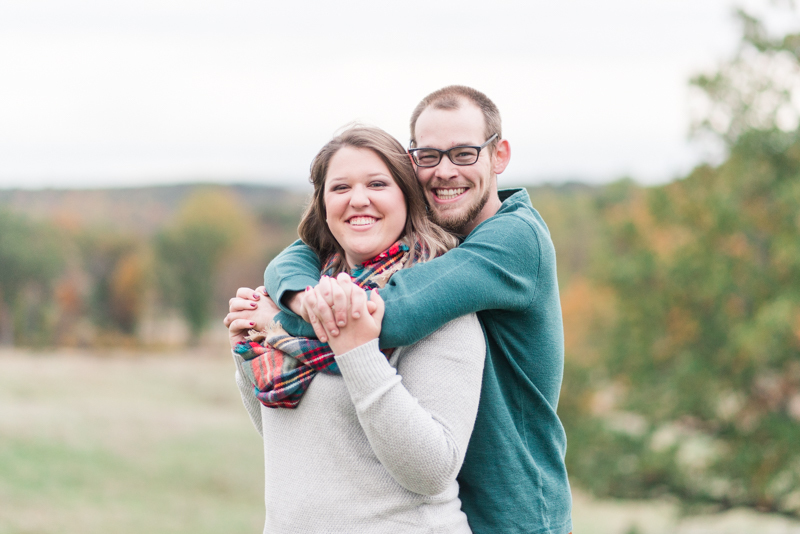 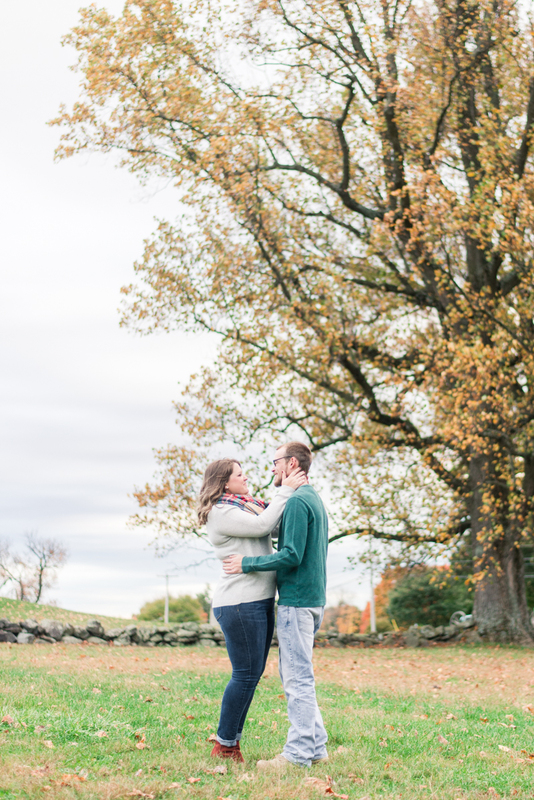 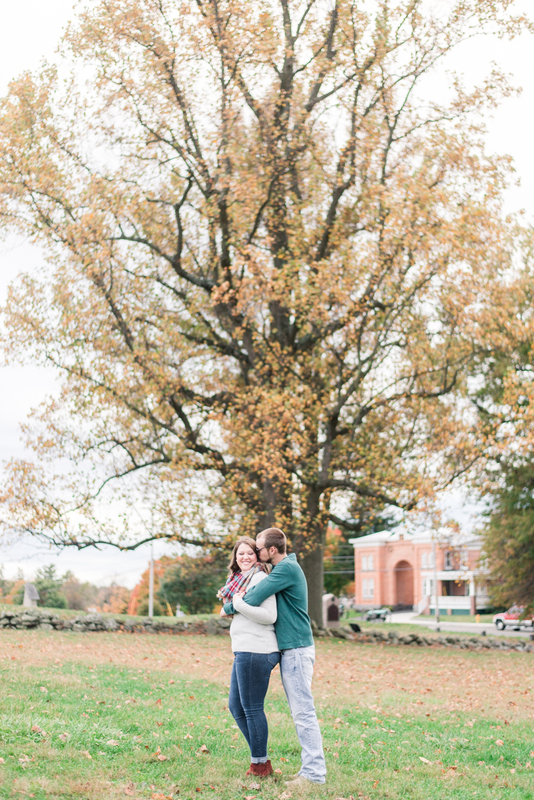 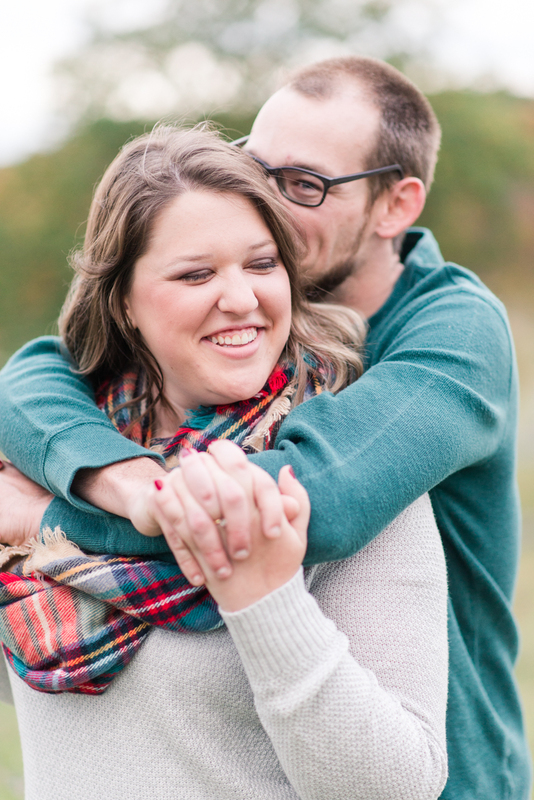 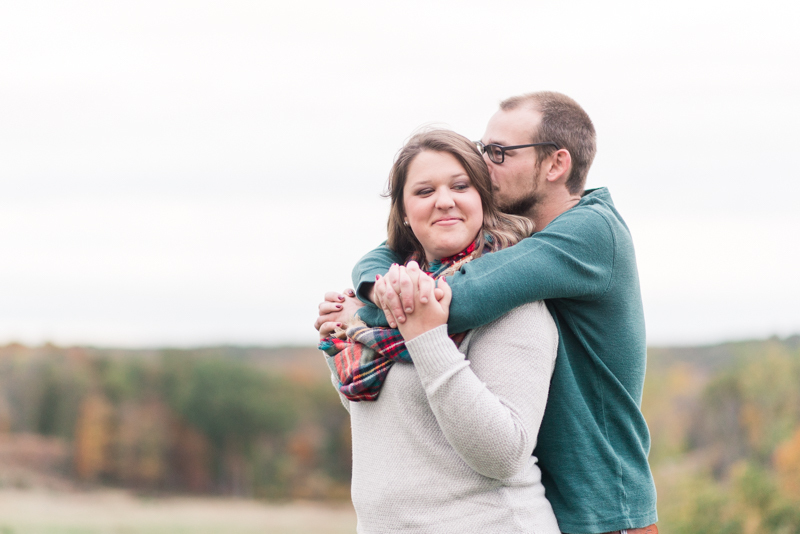 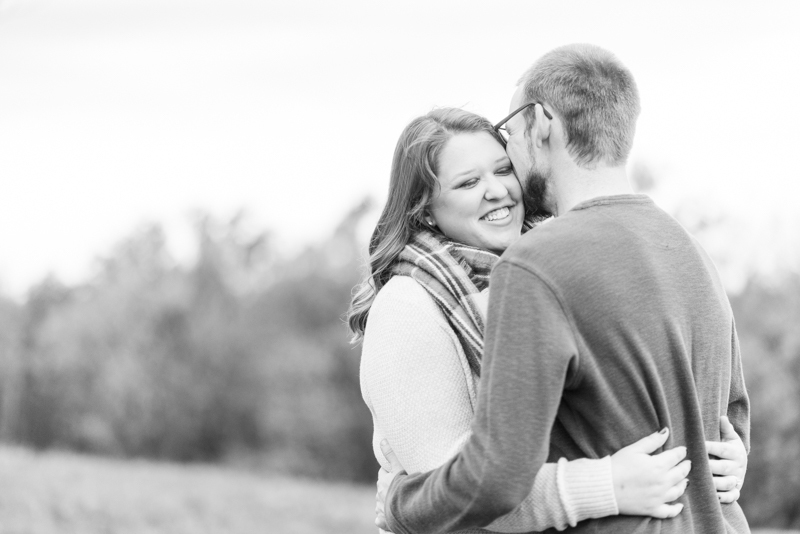 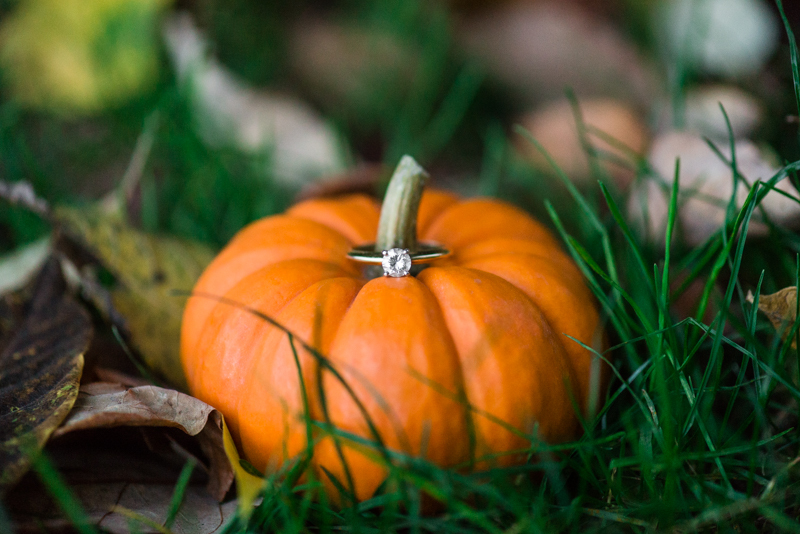 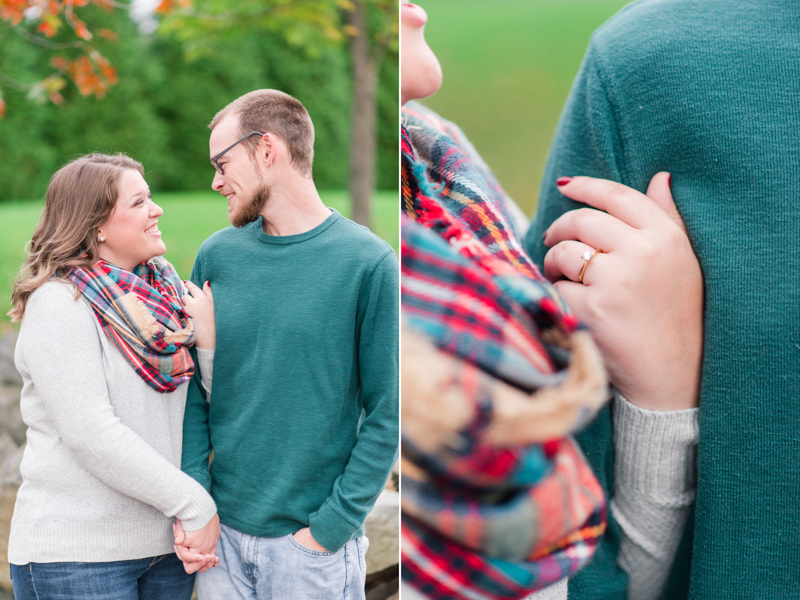 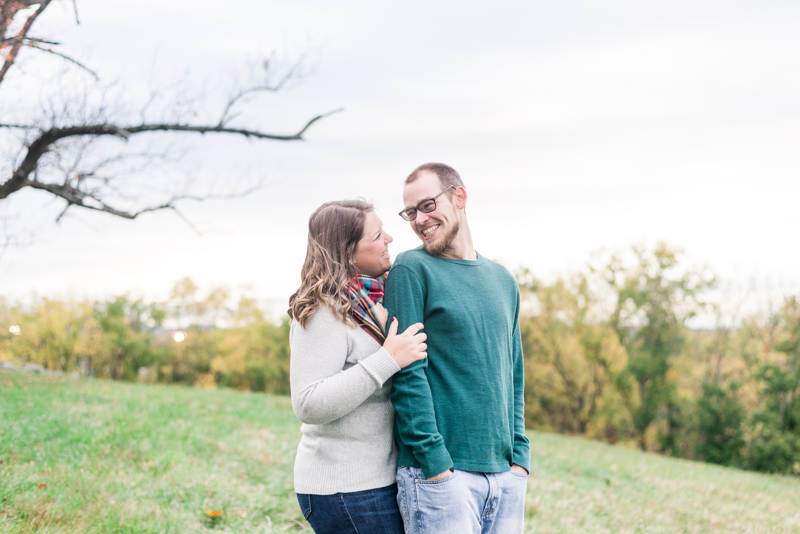 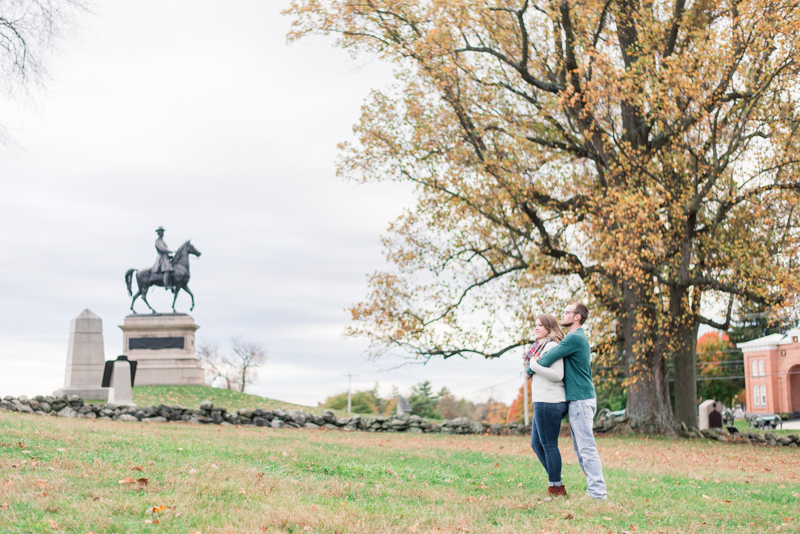 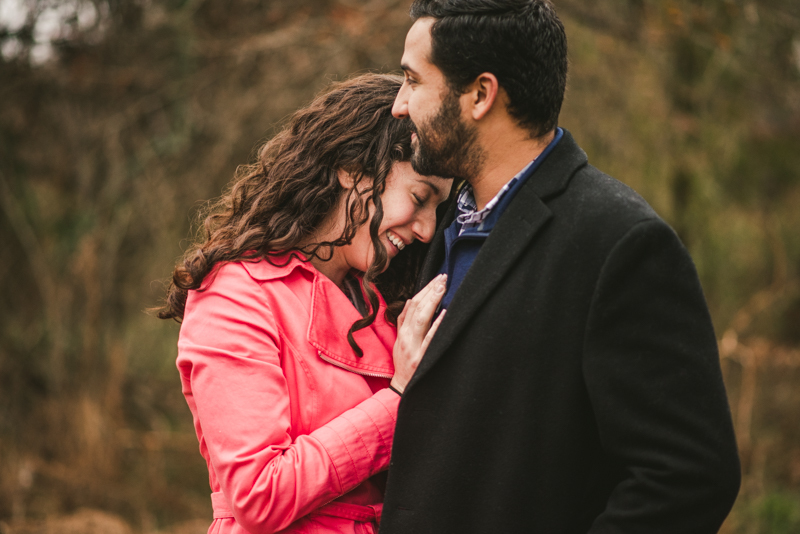 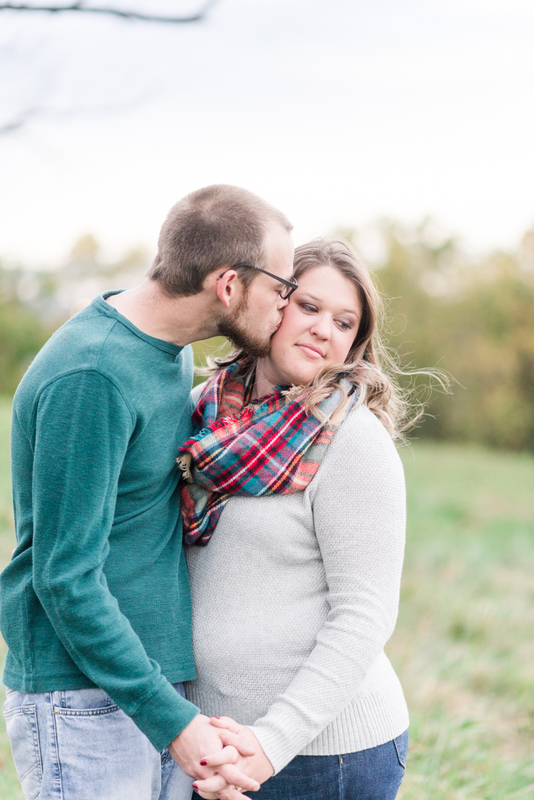 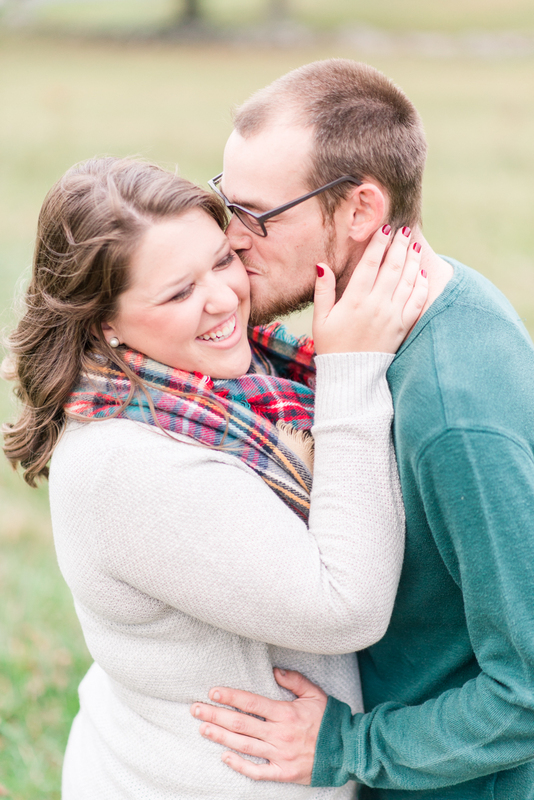 I hope you enjoy their Gettysburg engagement photos!